North America from Alaska east to Newfoundland and south into Mexico. The most northern of all porcupine species. Coniferous, deciduous, and mixed forest. Mixed forest preferred but can live in riparian areas from tundra to desert. Primarily nocturnal and solitary except during breeding and when rearing young. Sleep during the day, high in the trees, climbing down at night to forage for food. Both male and female defend territories. Home ranges during the summer are around 36 acres, but in winter they stay close to their preferred trees and shelter. Porcupines are mostly solitary but pairs sometimes share a tree and several adults may share winter dens. In bad weather they may stay in the den, but they are not hibernators. Ten years in captivity. Seven to eight years in the wild. Herbivorous. A wide variety of plants and plant parts in summer including twigs, nuts, and berries; conifer needles and bark in winter. Will chew antlers to get minerals. Porcupines are the only quilled North American mammal. Quills, about 3 inches long, cover the cheeks to the tip of the tail on the dorsum (upper side), numbering about 30,000. Long guard hairs wreathe the head and face. Wooly underfur is found all over the body. The legs are short and end in curved claws. Weight is 11 – 31 lbs (5 – 14 kg) and length is 24 – 35 inches (60-90 cm). Males are larger than females. Sexual maturity reached at ages 24 – 29 months. Breed once per year, mating in October and November. Females attract several males through high pitched vocalizations and from urinal or vaginal secretions. Males compete to mate, the most dominant receiving breeding rights. A pair will mate for several hours until a vaginal plug is formed, preventing the female from mating with another male. One male will mate with several females (polygyny). Babies are born April to June. The female chases the male away after she mates and takes responsibility for the offspring. Gestation is 204 – 215 days, fairly long for a rodent. Usually 1 offspring. Babies are large (3/4 to 1 2/3 pounds) and very precocial (well developed). Babies’ quills harden within 30 minutes. Within days the young follow the female into trees and begin eating vegetation. During the first 5 weeks, the mother only sees her babies at night and will sleep separately from them (but close by) during the day where the babies sleep on the ground and the mother in the trees. Young are weaned at 127 days and are independent in 5 months (by mid-October). The gut contains cellulose-digesting bacteria, which let porcupines digest rough plant materials. Defense. 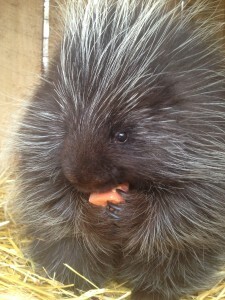 Porcupines are the only mammal in North America to use quills to deter predators. 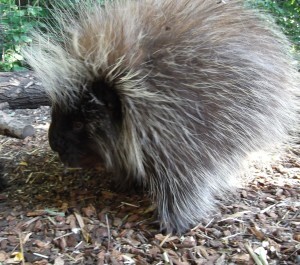 Because loosing quills is very energy expensive to a porcupine, they have developed several warning signs to precede their use of quills as defense. First line of defense to escape danger is to climb up a tree. If a tree escape is not possible, there are other options. First, quills are aposematic (warning) colorations; white-tipped quills on a black band of the tail and back stand out, warning assailants of danger. Second, porcupines emit an auditory warning: a quiet clattering of the teeth. If both visual and acoustic warnings fail, a porcupine will erect its quills, and simultaneously release a nasty scent. If these options fail, the porcupine will then use their quills offensively by driving the quills into the predator. 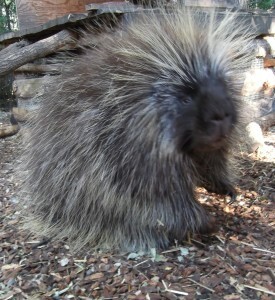 When attacked, a porcupine will tuck its head between its front paws and turn the quilled backside to the attacker. The hollow air-filled quills fall out of the porcupine’s skin easily but cannot be thrown. Each quill has a sharp tip followed by a series of microscopic fish-hook-like barbs that work their way into an attacker’s flesh. Quills do not contain poison. The defensive quills of porcupines evolved separately from the unrelated hedgehogs or the echidnas. Locomotion. North American porcupines have arboreal adaptations including long claws (four in front with a vestigial thumb, and five in back). These claws, along with rather unique palms, allow for effortless navigation in trees. Porcupines can easily climb large trunks and surprisingly minute branches. Their palms and soles are naked with a pebbly surface. This texture increases the surface area and thus the friction while in contact with a branch. In addition, porcupines have a keenly developed sense of touch. This further aids them in their nocturnal navigation. It also allows porcupines to secure themselves in trees with their hind feet while manipulating food with their front appendages. Finally, the quills of porcupines prevent downward sliding while animals are grasping trees with their hind feet. The quills on the tail are used to stab the tree, further increasing fiction and stabilizing the animal in the tree. North American Porcupines are the second largest rodent in North America, out-sized by beavers. They are very tolerant of the colder North American temperatures compared to porcupines of Central and South America. Vocalizations include sounds made from the vocal cords (whines, grunts, squeals) and clicking and grinding of the teeth. Porcupines are often killed around residences where they are viewed as “pests” because they strip the bark on trees and will gnaw on anything that has sweat on it (saddles, handles of garden implements) to get the salt. 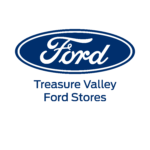 They also have a negative impact on the timber industry. Trees that have been fed on by porcupines tend to have stunted growth and twisted looking crowns, usually making the tree unsuitable for use as lumber. Predators include great horned owls, bobcats, wolverines, and fishers. These predators can attack the un-quilled bellies of porcupines. Fishers are particularly adept at flipping over porcupines. In some areas of North America, fishers have been introduced to help biologically control porcupines. Porcupines of the Americas differ from African and Asian porcupines in that the former are arboreal and the latter are not.